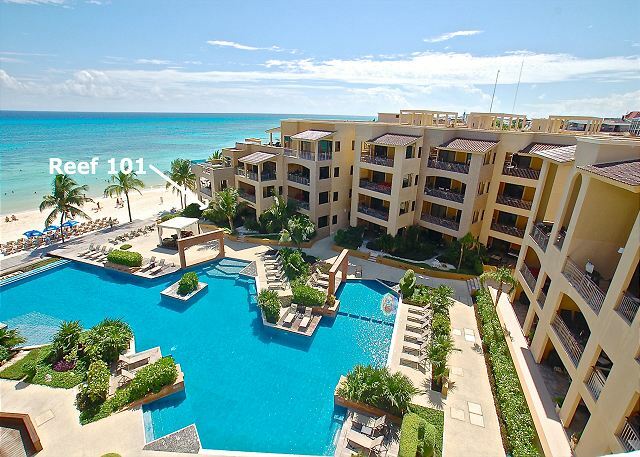 Impressive and luxurious ground-floor corner condo with unparalleled views of the magic-coloured Caribbean Sea! Catch the tropical sunrise from the master bedroom patio windows or step out for beach access from the private wraparound poolside terrace! Enjoy the afternoon sun streaming into the living area or seat at the corner of the terrace surrounded by palms. 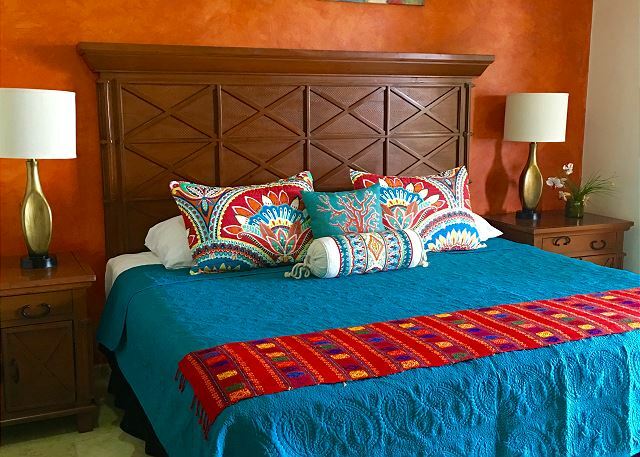 Both bedrooms beautifully furnished and decorated; spacious attached bathrooms boast rain shower heads. 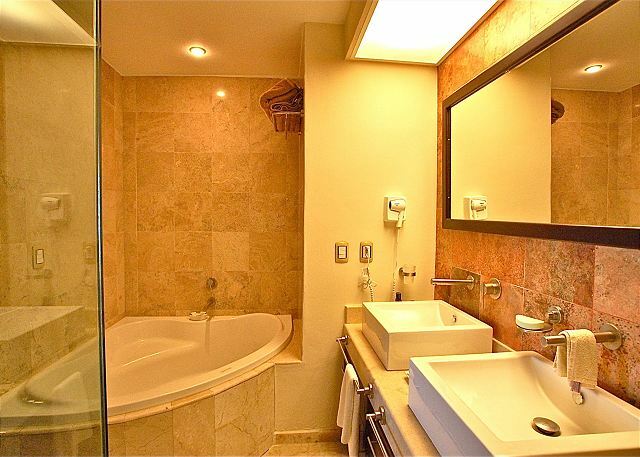 Master suite features flat screen TV, DVD player, "his and hers" closets, and soaker size bathtub! Dining for 6 and bar area for 2 attached to commodious kitchen. 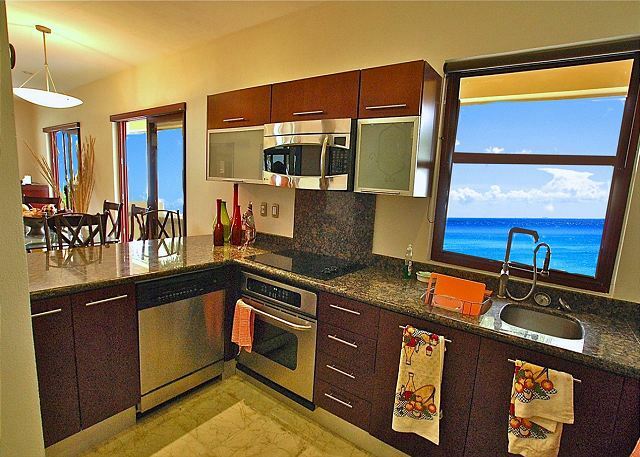 You will never get a better view while cooking! 9-foot ceilings throughout. 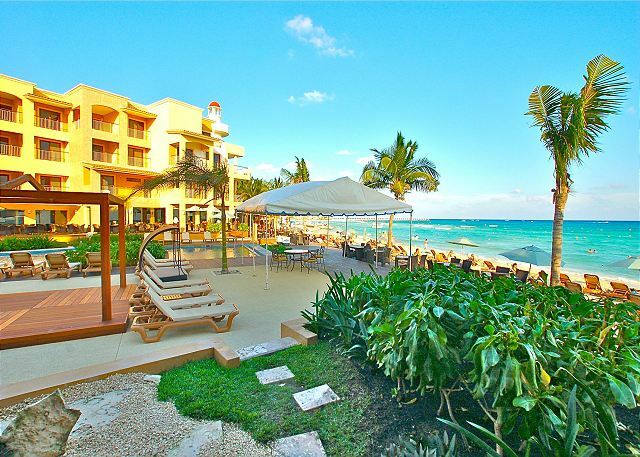 A spectacular vacation rental in the heart of Playa del Carmen! 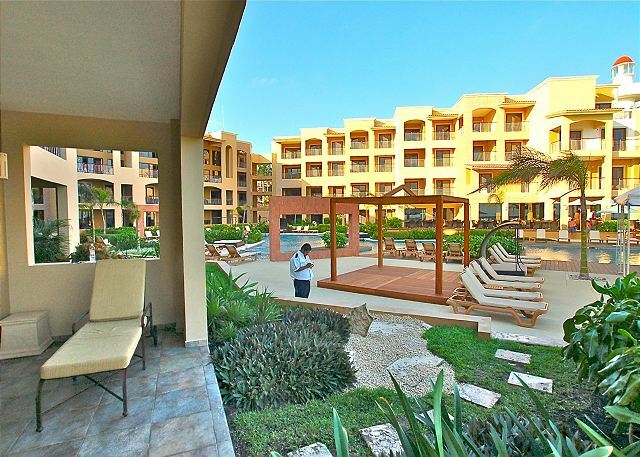 Building amenities at El Faro include infinity pool, massage therapy and underground parking (Extra Parking Fee - 15 USD per night). 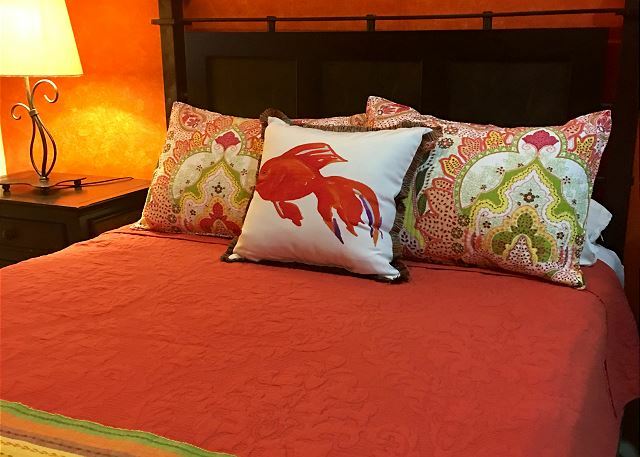 Quiet area but close proximity to fine dining options, shopping & nightlife on 5th Avenue!